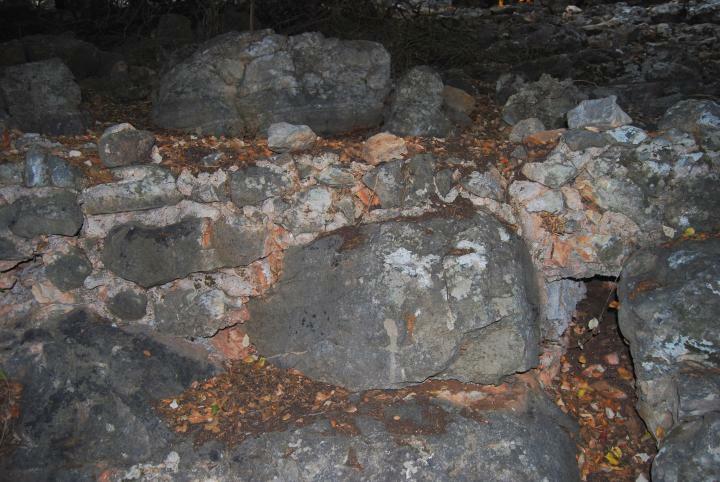 Remains of an ancient village on a hill on the southern side of Betzet Creek, near the modern village of Ya'ara. Another Roman/Byzantine village, Ramah, was established on its east side. Remains of an ancient village on a hill on the southern side of Betzet Creek, near the modern village of Ya'ara. The multi-level Tell was inhabited from the Iron age until the late Byzantine period, and again during the Crusaders period. 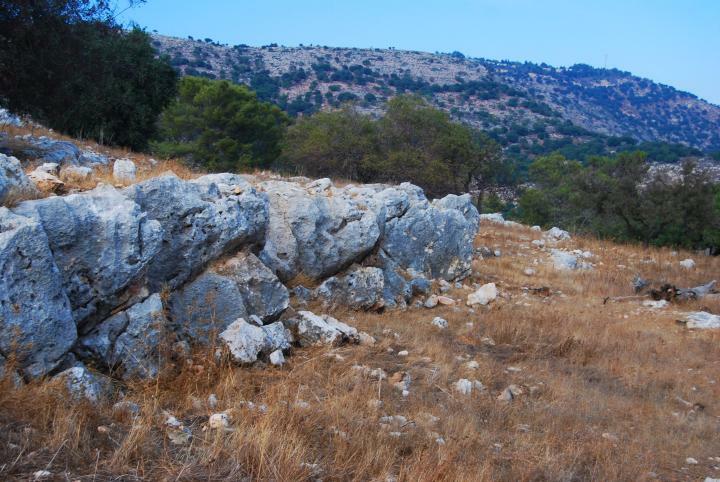 Another ancient site, Khirbet Ramah, is located on the same ridge, 300M to the east. It was probably a new section of the ancient Tell, which was established during the Roman period due to the limited size of Tell Seraf, and existed until the Byzantine period. 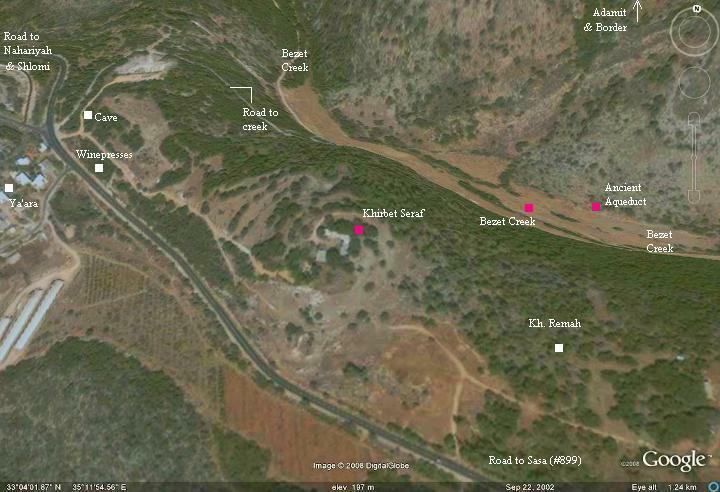 Khirbet Seraf is located on a hill (218M), 80M above and south of the Betzet creek valley. It spans 8 Dunam (0.8 Hectare). It is 0.5KM north-east of the village (Moshav) of Ya'ara (170M) and close to the Shlomi/Sasa road (#899). 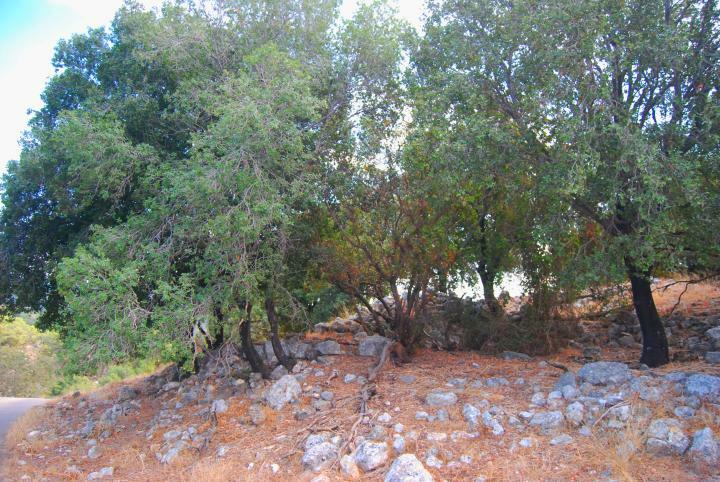 The site is located 2KM south of the International border with Lebanon. An aerial photo is shown below, indicating the major points of interest. You can point on the purple points to navigate to the selected point. Along the Betzet creek there are many prehistoric findings starting from the Neolithic period (8,300 BC- 4,500 BC) and expanding in the Chalcolithic period (4,500 BC to 3,150BC). The area was ideal for the Early Man - shelter in the caves, water and game in the creek and the valley around, and fish in the sea just 9 KM to the west. The archaeological survey identified flint tools at the site as belonging to the Neolithic period, and ceramics from the Early Bronze II. The Tell was inhabited in the Israelite period ( Iron age I, 1200-1000BC), within the region of the tribe of Asher. The sites from the Israelite conquest period were, in general for the Upper Galilee and specifically for this site, mostly located on hills. 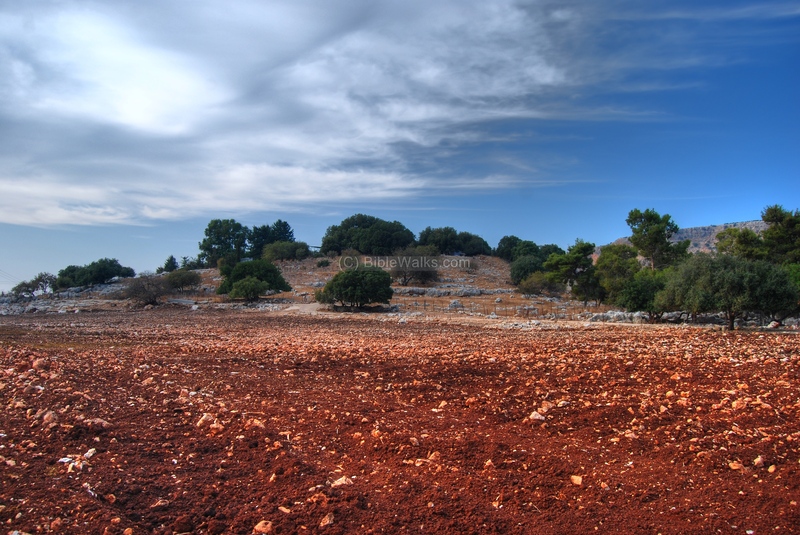 During the following period - the Israel Kings (Iron age II, 1000BC-586BC) - the hill country sites were gone, and this pattern was also found in Khirbet Seraf. 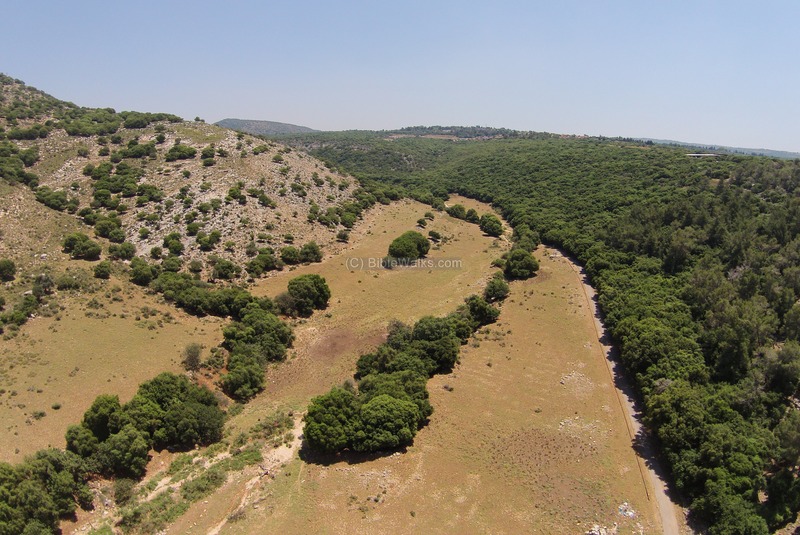 The Hellenistic period (3rd-1st C BC) in the Upper Galilee witnessed a radical change in the number of sites, mainly in the highlands, and usually small in size. This prosperity increased through the Roman and Byzantine periods (1st C through 7th C AD), when the number of sites almost doubled and their areas were expanded. The survey identified levels from these periods in the ruins of this multi-leveled Tell. On the east and north sides of the Tell are wall segments. 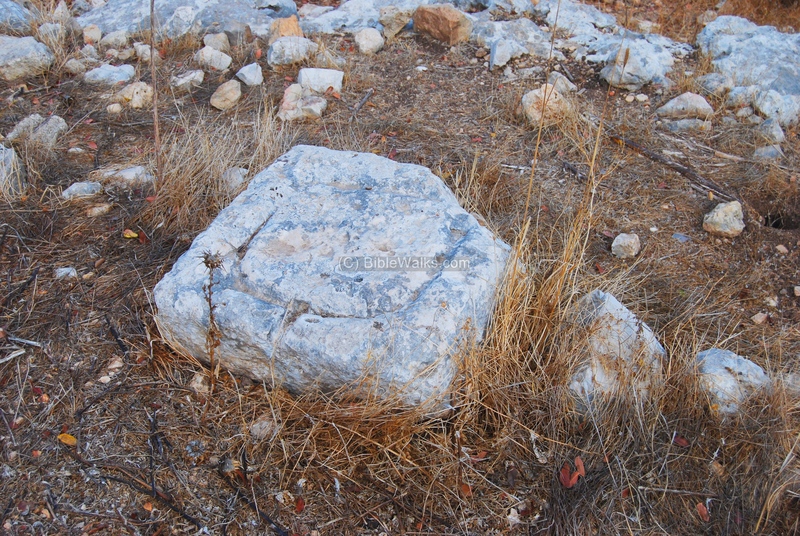 Fragments of oil presses are found around the site, indicating that oil production was among the sources of income, as found all over the Galilee. On the hillside there are small stone quarries. Around the site are 9 rock-hewn graves. Another site, Khirbet Ramah, is located on the same ridge, about 300M to the east. It was an extension of Seraf - it is also named "lower-Seraf" - due to the limited space on the hill. The ruins are spread over 9 Dunams (0.9 Hectares). It was established in the Roman period, but most of its ruins are from the Byzantine period. 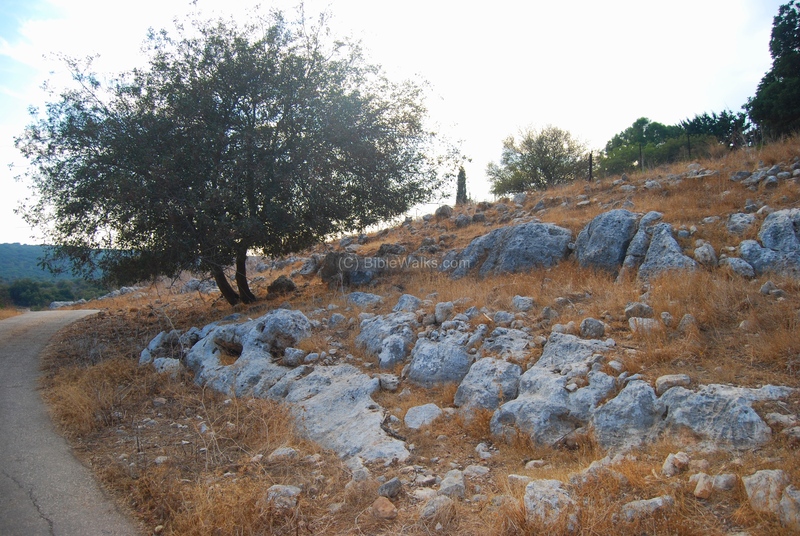 A Byzantine church may have been in Khirbet Ramah. In general, many of the sites in the western upper Galilee reveal a Christian presence during this period, which declined at the end of the Byzantine period. Most of the sites were destroyed during the Early Arab period (8th C). In general, the Upper Galilee enjoyed a renewed settlement during the Crusaders period. The survey identified in this site a reduced presence in the Crusaders and Mamlukes periods (11th thru 16th C). The village of Seraf was identified as "Samah" during the Crusaders times; the village of Ramah was identified as "Rumah". In general, there was a decline in the settlements during this period, especially in the hill country area. Most of this presence was reuse of existing structures rather than rebuilding new ones. The survey in this site found traces of pottery from this period. About a hundred years ago a large farm house was built on the top of the hill by a wealthy Christian from Lebanon (see story in Hebrew). It was soon abandoned when the owner migrated to America; the land was sold to the KKL (the Jewish land agency) in the 1930s, but the structure was eventually neglected and fell apart. In 1950/1951 a Moshav (village) was established near the site, and named Ya'ara. 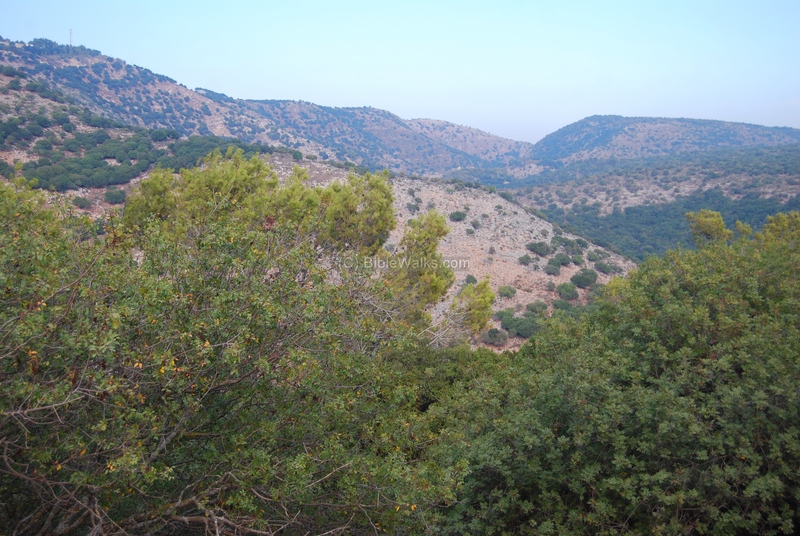 It is named after the forests around the village (Ya'ar is forest in Hebrew). It is the only village with mixed Jewish and Bedouin residents, with about 110 families (2008). The site of Khirbet Seraf is currently fenced off and not accessible to the public, since the land was leased to a farmer who resides in the ruins. An aerial view, captured by a quad copter, shows the site from the north side. The hill on which the site is located is on the right side - the south bank of Betzet creek. A closer view of the hill is seen in the following view. Khirbet Seraf is located around the summit. A ground view of the site is seen below from its east side. The road from Shlomi/Nahariya to Sasa is located on the left (south side), while the border with Lebanon, 2KM to the north, is seen on the far right background. 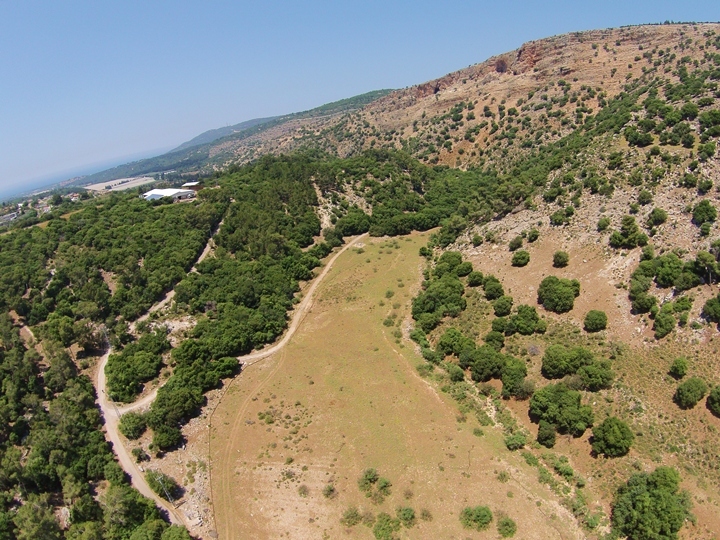 The photo below shows the north-east hillside, with traces of the walls. On the top of the hill are the ruins of an 100 year old fortified farm, which is in use today by a modern farmer. Another view of the east side, with the old road that turns around the hill. Most of the site is covered with bush and traces of ruins. A press basin, probably for oil production, is found on the eastern hill side, just below the old road. 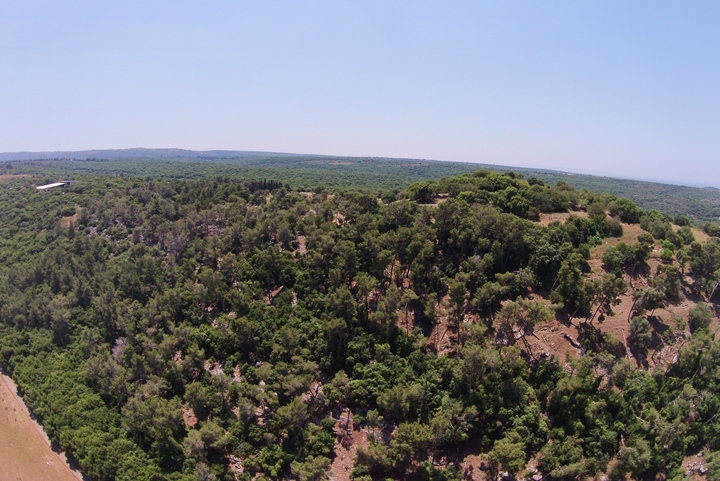 From the site is a great panorama of the Betzet creek, seen below, and the cliffs of the north border of Israel. The photo below shows a view of the eastern side. The Betzet creek flows from right to left in the valley behind the trees. The valley of Betzet creek, where the picture below was taken, is located on the north side of Seraf. 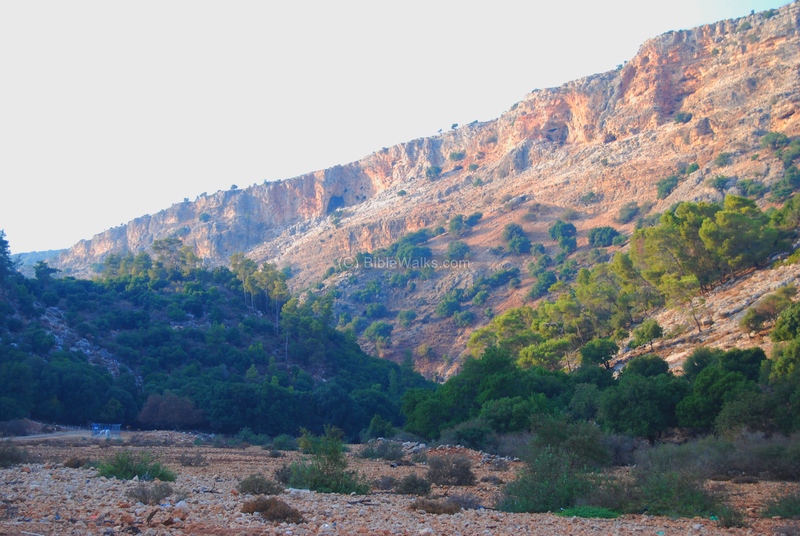 The photo shows the steep cliffs of the "Ladder of Tyre", which marks the northern border of Israel. There are two caves on these cliffs, Keshet and Mankhir. The same view, but from a drone, is seen in the following picture. You can also watch a video of a flight above the area. The photo below shows the opposite view - from the cliffs toward Betzet creek, which is seen in center of the far background. The bright patch in the far center, where the previous photo was taken, is seen on the left of the hill of Khirbet Seraf. On the north side of the valley, for a distance of about 8KM, are traces of an ancient aqueduct. A section of the aqueduct is seen below, which was built in the Byzantine period and in use until the Ottoman period. The aqueduct supplied water to the ancient village of Betzet, a large Roman/Byzantine city which is the source of the name of the creek. 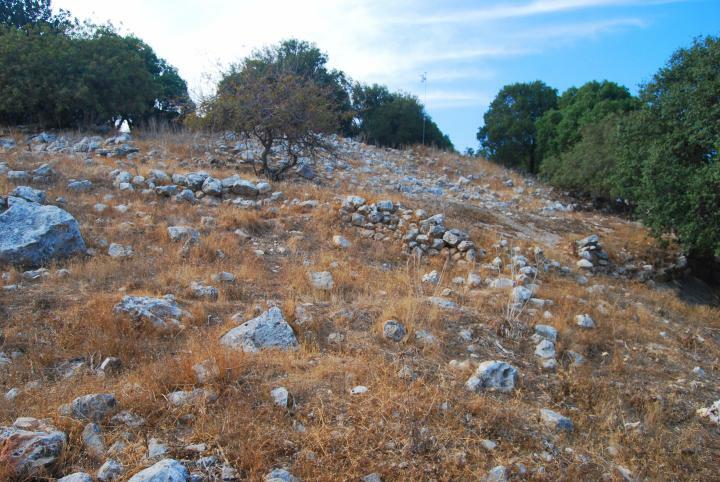 The ruins of Betzet are located on the north side of Shlomi. Ya'ara is a modern village near Khirbet Seraf. In the Bible, Yara (Jarah) was the son of Ahaz, fifth generation of the King Saul. Note that the name is used today for females in the form of Ya'ara, while the Biblical name (Yara) was for males. "And Ahaz begat Jarah; and Jarah begat Alemeth, and Azmaveth, and Zimri; and Zimri begat Moza;"
Ya'ara - From Hebrew: Ya'ar is "forest". The village is named after the forests around the village. The name is also the name of a family of climber plants (Honeysuckle). The name is also mentioned in the Bible (1 Chonicles). Bezet, Betzet - the creek flow from the center of the upper Galilee westwards to the Mediterranean sea. It is named after the large Byzantine village of Betzet; its ruins are located in the ruined Arab village of Bassa. These ruins are now in the north side of the modern city of Shlomi (established 1950) and north-east of Moshav Betzet (established 1949) which was named after the site. Tell, Tel - Mound, heap. The ruins of a historical layered city. Most of the biblical cities evolved into Tells. For more information, see a comprehensive review of this term. Seraf - Hebrew for "resin", maybe based on the resin of the trees that grow around it. Khirbet Seraf is a modern Hebrew name given to the site. 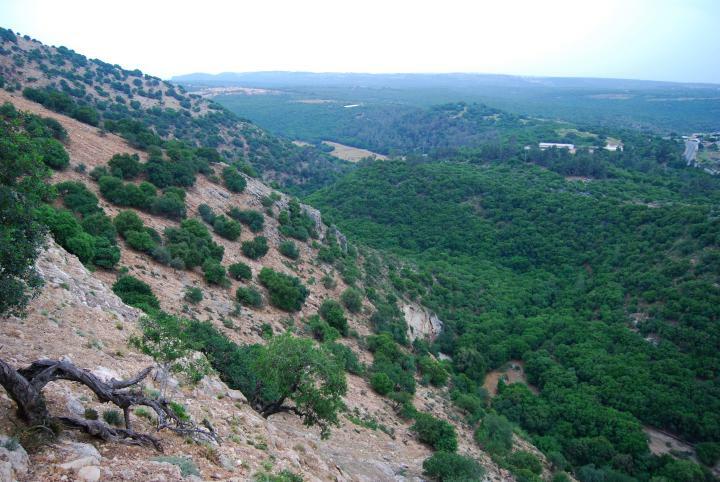 Since Seraf is located near Ya'ara ("forest"), the name seems to fit its neighboring modern village.